I purchased this truck from a dealer a couple of years ago. We have used it minimally which is why I am selling it. 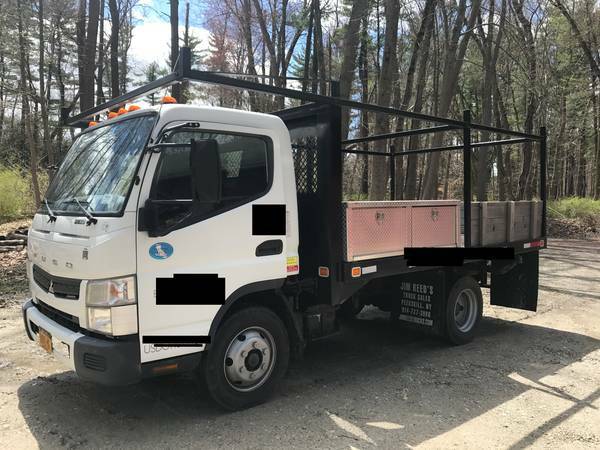 It was purchased for my construction company to transport scaffolding and large loads but we don’t end up needing it as much as I had anticipated. Just under 75,000 miles Clean interior, ready for use. Heavy duty truck with flatbed. I added boxes on the sides and made wood panels that insert into the bed on the back as a tailgate.